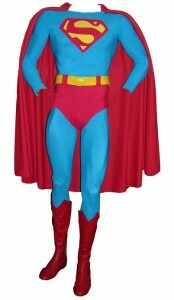 The actual costume worn by the late actor Christopher Reeve in the first two Superman movies (Superman: The Movie and Superman II) will be sold as part of Premiere Props' June 11th Hollywood Extravaganza XLII auction (www.PremiereProps.com) in El Segundo, California. The outfit consists of a shirt (with the distinctive “S” shield on the chest), belt, pants, red leather boots and red cape with gold insignia. 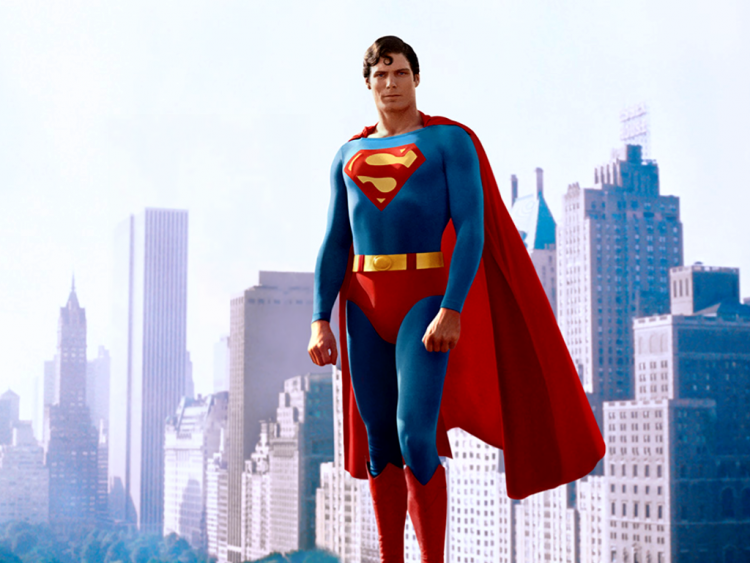 The two movies, from 1978 and 1980, redefined superhero films forever and made Reeve a household name. The costume is expected to bring $30,000-$40,000. Also up for bid is a collection of two black and white photos of the legendary director Cecil B. DeMille and a personal signed letter from DeMille, written on Paramount Pictures stationery in 1955; three original test exposure proof photos from the Paramount Pictures film The Ten Commandments (1956), showing the actors Yul Brynner and Anne Baxter; the outfit the late comedian Sam Kinnison wore on the cover of his first album Louder Than Hell and on TV's Saturday Night Live (1985); and an ANTO shirt custom-made for President Bill Clinton, dated 2008. Prior to his untimely passing last year after a long illness, James Kane of Los Angeles amassed what may be the most complete and advanced collection of cigar lighters and related smoking objects (tobacciana) in the world. Now, Part 1 of that collection, comprising 75 lots, will come up for bid on Sunday, June 12th, at Treasureseeker Auctions in Pasadena, California, as part of a two-session sale. Parts 2 and 3 of the collection will be sold later on. Mr. Kane's items will comprise the first session. Session 2 will feature fine estate antiques and decorative arts. Mr. Kane's evolution from being a collector of novelty ashtrays to a world class collector of important tobacciana began on a random Saturday. He walked into an antique shop then owned by Rick Kaplan, the current owner of Treasureseeker Auctions. Kane was interested in buying a vintage ashtray for himself, which he did, but the following Saturday he came back looking for more. 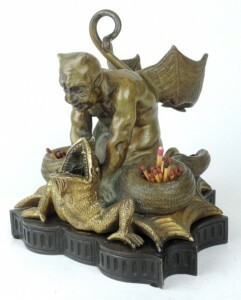 On that visit he purchased a rare, late 19th century cigar lighter that Mr. Kaplan had just brought back from Europe. The rest, as they say, is history. Visit www.TreasureSeekers.com. Mid-Century Modern is so big right now that the excellent magazine Treasures – formerly a general antiques and collectibles publication – is now dedicated entirely to that one category. Fans of Mid-Century Modern furniture will recognize the father-son team of Philip LaVerne (1907-1987) and Kelvin LaVerne (b. 1937), and Karl Springer (1931-1991). Both will be represented in Antiques & Modern Auction Gallery's next big sale, planned for Saturday, June 18th, in West Palm, Beach, Florida. More than 300 lots in many categories will come up for bid. The Mid-Century Modern pieces, though, are the auction's headliner. The item pictured here is a bronze Romanesque coffee table made by the LaVernes. It features a classic Roman figure design on the top of the table and is expected to sell for $3,500-$4,500. A Karl Springer coffee (or cocktail) table, covered in beautiful luminous blue sharkskin, signed on the bottom “Karl Springer, Philippines,” has a pre-sale estimate of $3,000-$5,000. Also in the sale are signed lithographs and a collection of authentic Aboriginal paintings on bark. Visit www.AntiquesModern.com. 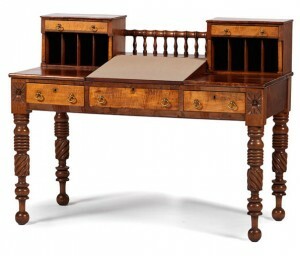 An American Empire desk, made circa 1820-1840 and purportedly used by , either at his Springfield, Illinois law firm or while partnered with John Todd Stuart, plus an 1848 legal document written entirely in Lincoln's hand for the Stuart and Edwards law firm, will be sold at an American History Auction slated for Friday, June 10th, at Cowan's Auctions, in Cincinnati, Ohio. The sale will also feature an important Col. Elmer E. Ellsworth inscribed presentation sword and archive; and a whole plate tintype of the ill-fated Civil War steamer Sultana. Lincoln practiced law in Illinois for nearly 25 years. From 1837-1841 he worked as a junior partner with John Todd Stuart, who served in Congress from 1841-1843 and then began a 40-year law partnership with Benjamin S. Edwards. Lincoln was frequently in contact with their practice. The desk and legal document remained in Benjamin's family since that time. The legal document is one Lincoln wrote for the Stuart and Edwards law firm. It pertains to the case of an immigrant, Hino Jacob Binder (b. 1833), detailing Binder's inheritances from his mother and father. 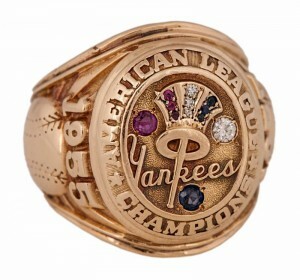 A collection of rare memorabilia from the personal collection of New York Yankee great Mickey Mantle – including his prized 1955 American League Championship ring – will come up for bid Thursday, August 4th, at a live auction held by Goldin Auctions, at The National Sports Collectors Convention in Atlantic City, New Jersey. The live event will feature up to 100 lots of memorabilia, each valued at $10,000. Additionally, a corresponding catalog auction will run from mid-July through August 15th on the Goldin Auctions website (GoldinAuctions.com). The Mantle items will be a mixture of artifacts from his playing career, to include his 1956 Player of the Year Award; his Street & Smith's Dream Team Award; and his Player of the Decade Award, presented in 1964 by the Touchdown Club. Additional lots will feature a Cripple Creek cowboy hat given to Mantle by teammate Billy Martin; and the original manuscript for his autobiography, titled The Mick, with Mantle's personal annotations and edits. All items pertaining to Mantle will come with a Letter of Authenticity from the Mantle family, the items' consignors.